250 x 200 mm users of this car park do so at self adhesive vinyl labels. 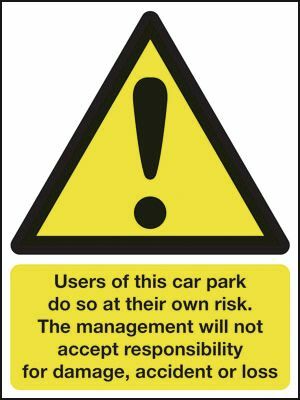 Prohibition signs - 250 x 200 mm users of this car park do so at self adhesive vinyl labels. 250 x 200 mm users of this car park do so at 1.2 mm rigid plastic signs. Prohibition signs - 250 x 200 mm users of this car park do so at 1.2 mm rigid plastic signs. 250 x 200 mm users of this car park do so at 1.2 mm rigid plastic signs with s/a backing. Prohibition signs - 250 x 200 mm users of this car park do so at 1.2 mm rigid plastic signs with self adhesive backing. 50 x 100 mm cigarette waste only no litter self adhesive vinyl labels. 75 x 150 mm cigarette waste only no litter self adhesive vinyl labels. 150 x 125 mm cigarette waste only no litter label. 50 x 100 mm cigarette waste only no litter 1.2 mm rigid plastic signs. A5 cigarette waste only no litter label. 50 x 250 mm cigarette waste only no litter self adhesive vinyl labels. Prohibition signs - 50 x 100 mm cigarette waste only no litter self adhesive vinyl labels. 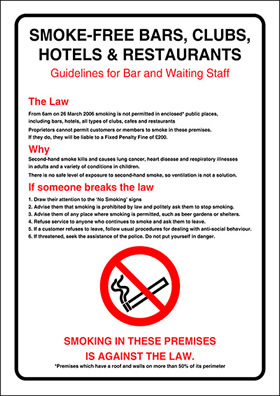 Prohibition signs - 75 x 150 mm cigarette waste only no litter self adhesive vinyl labels. Prohibition signs - 50 x 100 mm cigarette waste only no litter 1.2 mm rigid plastic signs. Prohibition signs - 50 x 250 mm cigarette waste only no litter self adhesive vinyl labels. 50 x 250 mm cigarette waste only no litter 1.2 mm rigid plastic signs. Prohibition signs - 50 x 250 mm cigarette waste only no litter 1.2 mm rigid plastic signs. 50 x 100 mm cigarette waste only no litter 1.2 mm rigid plastic signs with s/a backing. 50 x 100 mm cigarette waste only no litter 1.2 mm rigid plastic signs with self adhesive backing. 75 x 150 mm cigarette waste only no litter 1.2 mm rigid plastic signs. 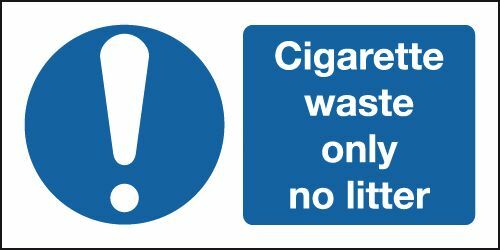 Prohibition signs - 75 x 150 mm cigarette waste only no litter 1.2 mm rigid plastic signs. 50 x 250 mm cigarette waste only no litter 1.2 mm rigid plastic signs with s/a backing. 50 x 250 mm cigarette waste only no litter 1.2 mm rigid plastic signs with self adhesive backing. 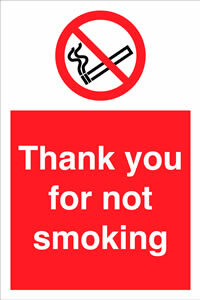 Prohibition signs - 50 x 100 mm cigarette waste only no litter 1.2 mm rigid plastic signs with self adhesive backing. A4 cigarette waste only no litter label. 75 x 150 mm cigarette waste only no litter 1.2 mm rigid plastic signs with s/a backing. 75 x 150 mm cigarette waste only no litter 1.2 mm rigid plastic signs with self adhesive backing. A3 cigarette waste only no litter label. Prohibition signs - 50 x 250 mm cigarette waste only no litter 1.2 mm rigid plastic signs with self adhesive backing. Prohibition signs - 75 x 150 mm cigarette waste only no litter 1.2 mm rigid plastic signs with self adhesive backing. 50 x 100 mm it is strictly forbidden to climb label. 50 x 100 mm it is strictly forbidden to climb sign. 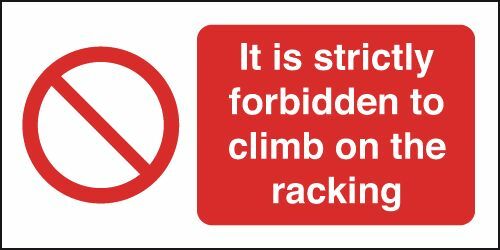 6 pack of labels 50 x 150 mm strictly forbidden to climb racking sign. 350 x 250 mm do not wear loose clothing when label. 400 x 300 mm do not wear loose clothing when label. 350 x 250 mm do not wear loose clothing when sign. 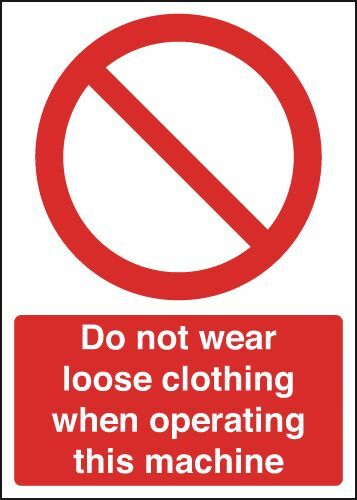 400 x 300 mm do not wear loose clothing when sign. A2 danger demolition in progress do not self adhesive vinyl labels. 40 diameter do not drink symbol signs. 250 x 200 mm do not oil clean or use this label. 250 x 200 mm do not oil, clean or use this label. 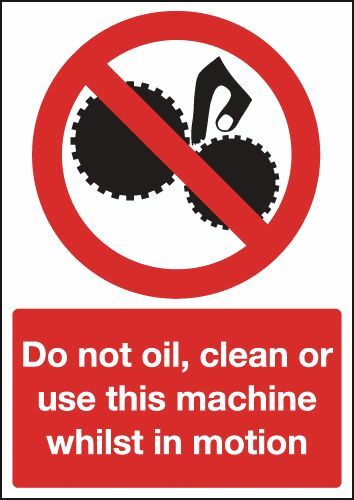 250 x 200 mm do not oil, clean or use this sign. 150 x 125 mm do not operate label. 150 x 200 mm do not operate this equipment label. 100 x 250 mm do not operate label. 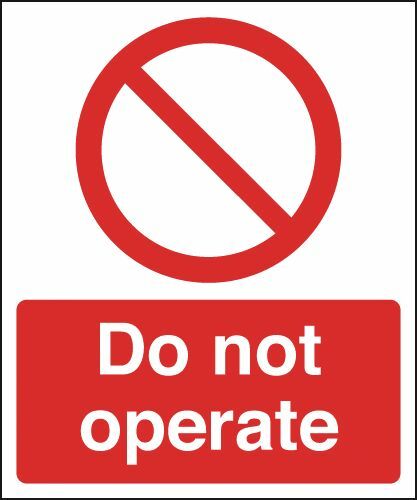 150 x 125 mm do not operate sign. 250 x 200 mm do not operate label. 150 x 300 mm do not operate this equipment label. 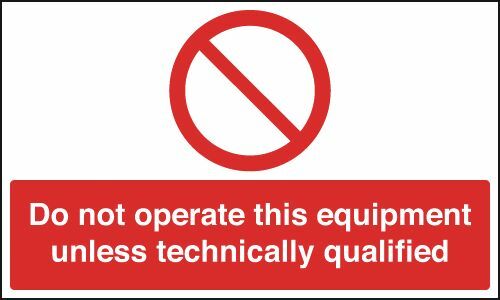 150 x 200 mm do not operate this equipment sign. 100 x 250 mm do not operate sign. 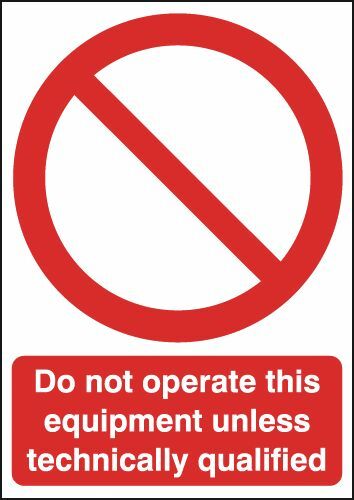 150 x 300 mm do not operate this equipment sign. 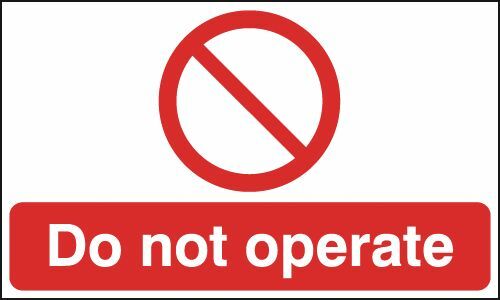 250 x 200 mm do not operate sign. A4 do not operate this equipment unless Steel label. A4 do not operate this equipment unless label. 300 x 500 mm do not operate this equipment label. 300 x 500 mm do not operate label. A4 do not operate this equipment unless sign. 300 x 500 mm do not operate sign. 300 x 500 mm do not operate this equipment sign. 100 x 100 mm do not touch symbol sign. 175 x 125 mm do not touch men working self adhesive vinyl labels. 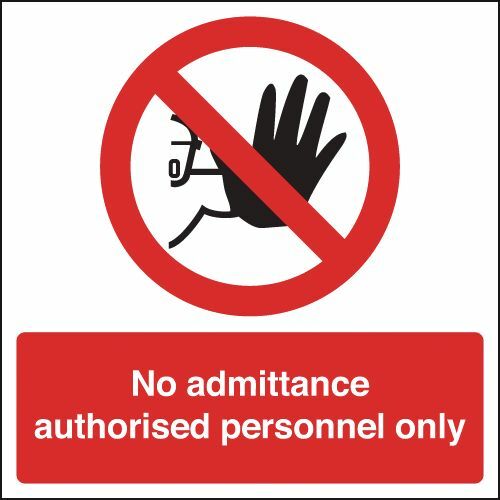 Prohibition signs - 175 x 125 mm do not touch men working self adhesive vinyl labels. 100 x 250 mm do not touch men working self adhesive vinyl labels. 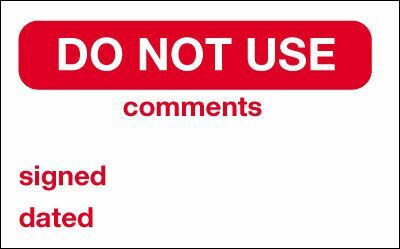 Prohibition signs - 100 x 250 mm do not touch men working self adhesive vinyl labels. 250 x 200 mm do not touch men working self adhesive vinyl labels. Prohibition signs - 250 x 200 mm do not touch men working self adhesive vinyl labels. 150 x 300 mm do not touch men working self adhesive vinyl labels. 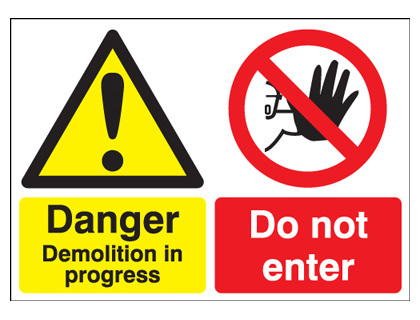 Prohibition signs - 150 x 300 mm do not touch men working self adhesive vinyl labels. 175 x 125 mm do not touch men working 1.2 mm rigid plastic signs. Prohibition signs - 175 x 125 mm do not touch men working 1.2 mm rigid plastic signs. Pack of 10 50 x 50 mm do not touch symbol sign. 100 x 250 mm do not touch men working 1.2 mm rigid plastic signs. Prohibition signs - 100 x 250 mm do not touch men working 1.2 mm rigid plastic signs. 150 x 300 mm do not touch men working 1.2 mm rigid plastic signs. Prohibition signs - 150 x 300 mm do not touch men working 1.2 mm rigid plastic signs. 250 x 200 mm do not touch men working 1.2 mm rigid plastic signs. Prohibition signs - 250 x 200 mm do not touch men working 1.2 mm rigid plastic signs. 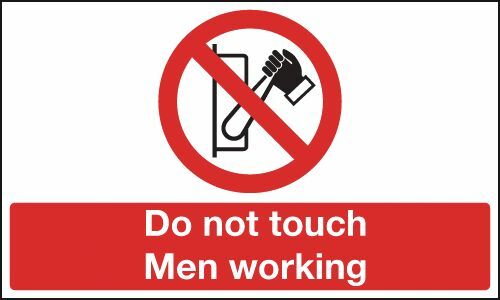 175 x 125 mm do not touch men working 1.2 mm rigid plastic signs with s/a backing. 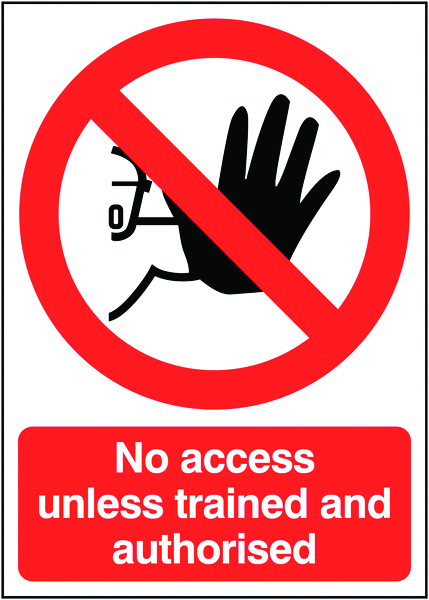 Prohibition signs - 175 x 125 mm do not touch men working 1.2 mm rigid plastic signs with self adhesive backing. 300 x 500 mm do not touch men working self adhesive vinyl labels. 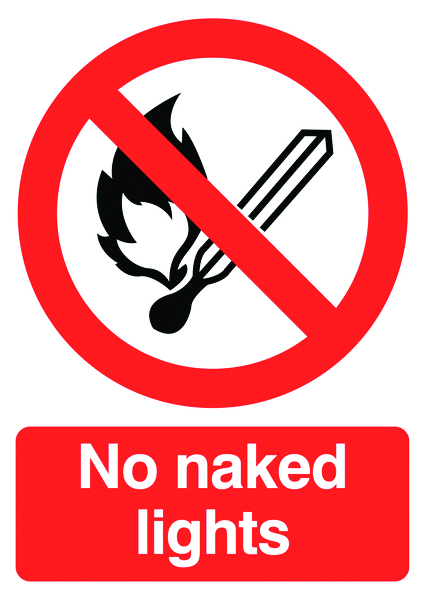 Prohibition signs - 300 x 500 mm do not touch men working self adhesive vinyl labels. 100 x 250 mm do not touch men working 1.2 mm rigid plastic signs with s/a backing. 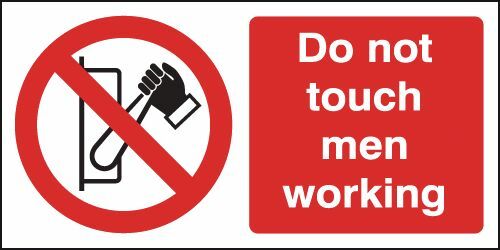 100 x 250 mm do not touch men working 1.2 mm rigid plastic signs with self adhesive backing. 300 x 500 mm do not touch men working 1.2 mm rigid plastic signs. Prohibition signs - 300 x 500 mm do not touch men working 1.2 mm rigid plastic signs. 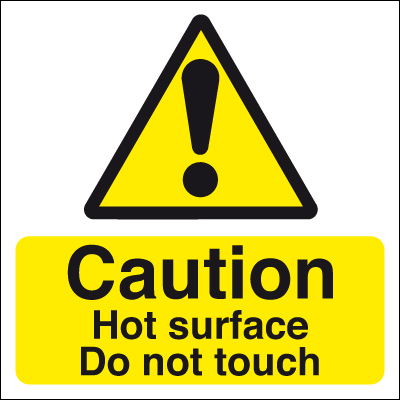 250 x 200 mm do not touch men working 1.2 mm rigid plastic signs with s/a backing. Prohibition signs - 250 x 200 mm do not touch men working 1.2 mm rigid plastic signs with self adhesive backing. 300 x 500 mm do not touch men working 1.2 mm rigid plastic signs with s/a backing. 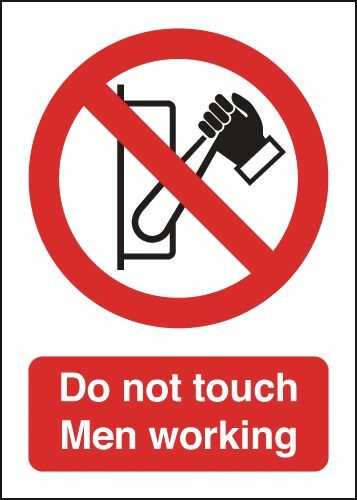 Prohibition signs - 300 x 500 mm do not touch men working 1.2 mm rigid plastic signs with self adhesive backing. 150 x 125 mm no fouling label. 150 x 125 mm no fouling maximum penalty �1000 sign label. 150 x 125 mm no fouling maximum penalty �500 sign label. A5 No fouling maximum penalty �500 sign label. 150 x 125 mm clean it up maximum penalty �100 self adhesive vinyl labels. 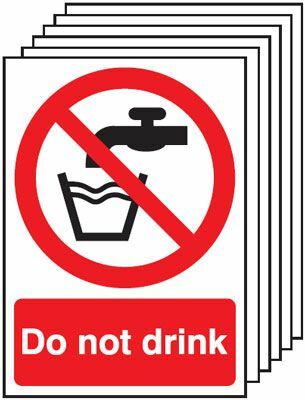 Prohibition signs - 150 x 125 mm clean it up maximum penalty �100 self adhesive vinyl labels. 150 x 125 mm clean it up maximum penalty �500 self adhesive vinyl labels. Prohibition signs - 150 x 125 mm clean it up maximum penalty �500 self adhesive vinyl labels. A5 clean it up maximum penalty �1000 self adhesive vinyl labels. Prohibition signs - A5 clean it up maximum penalty �1000 self adhesive vinyl labels. A5 clean it up maximum penalty (pound symbol) 500 self adhesive vinyl labels. Prohibition signs - A5 clean it up maximum penalty �500 self adhesive vinyl labels. 100 x 250 mm clean it up maximum penalty �500 self adhesive vinyl labels. Prohibition signs - 100 x 250 mm clean it up maximum penalty �500 self adhesive vinyl labels. 100 x 250 mm no fouling label. 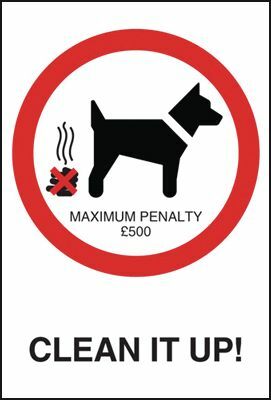 150 x 125 mm clean it up maximum penalty (pound symbol) 500 1.2 mm rigid plastic signs. 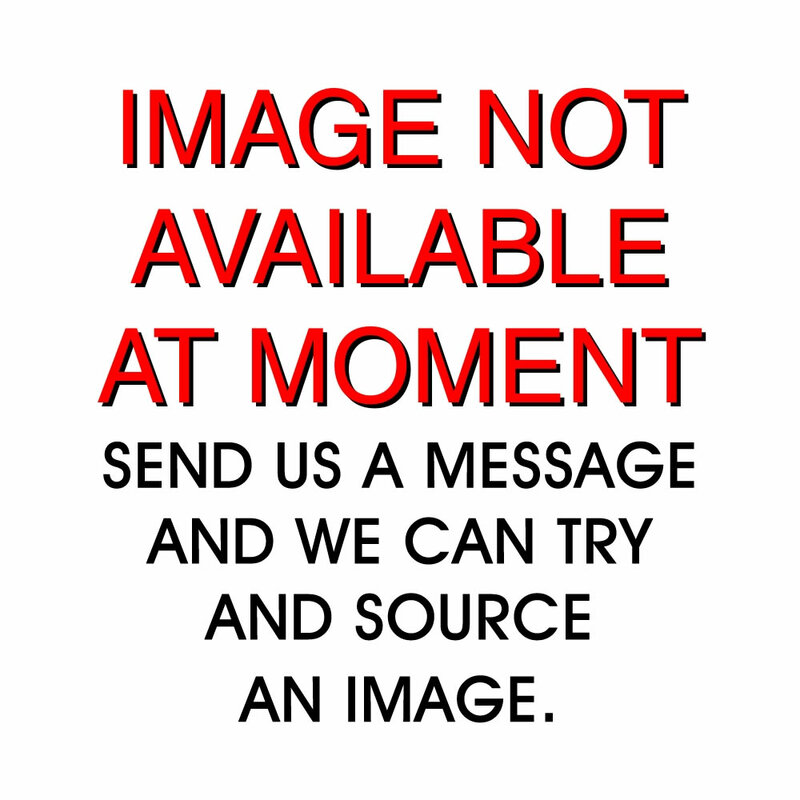 Prohibition signs - 150 x 125 mm clean it up maximum penalty �500 1.2 mm rigid plastic signs. 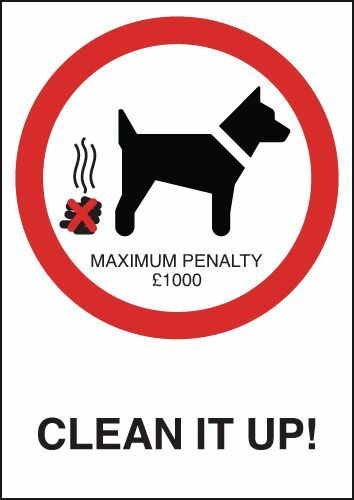 150 x 125 mm clean it up maximum penalty �100 1.2 mm rigid plastic signs. Prohibition signs - 150 x 125 mm clean it up maximum penalty �100 1.2 mm rigid plastic signs. 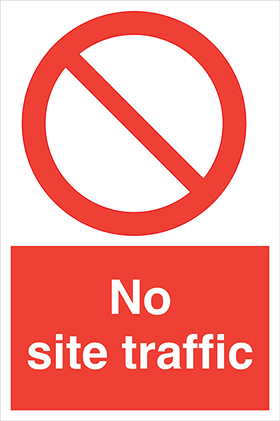 150 x 125 mm no fouling maximum penalty �500 sign sign. 150 x 125 mm no fouling sign. 150 x 125 mm no fouling maximum penalty �1000 sign sign. A5 clean it up maximum penalty (pound symbol) 500 1.2 mm rigid plastic signs. Prohibition signs - A5 clean it up maximum penalty �500 1.2 mm rigid plastic signs. A5 clean it up maximum penalty �1000 1.2 mm rigid plastic signs. Prohibition signs - A5 clean it up maximum penalty �1000 1.2 mm rigid plastic signs. A5 no fouling maximum penalty �1000 sign. A5 no fouling maximum penalty �500 sign. A4 clean it up maximum penalty �1000 self adhesive vinyl labels. Prohibition signs - A4 clean it up maximum penalty �1000 self adhesive vinyl labels. A4 clean it up maximum penalty �500 self adhesive vinyl labels. Prohibition signs - A4 clean it up maximum penalty �500 self adhesive vinyl labels. 100 x 250 mm no fouling sign. 150 x 125 mm no fouling maximum penalty �1000 sign. 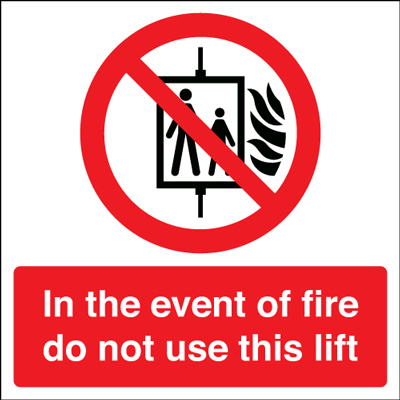 150 x 125 mm clean it up maximum penalty �500 1.2 mm rigid plastic signs with s/a backing. Prohibition signs - 150 x 125 mm clean it up maximum penalty �500 1.2 mm rigid plastic signs with self adhesive backing. 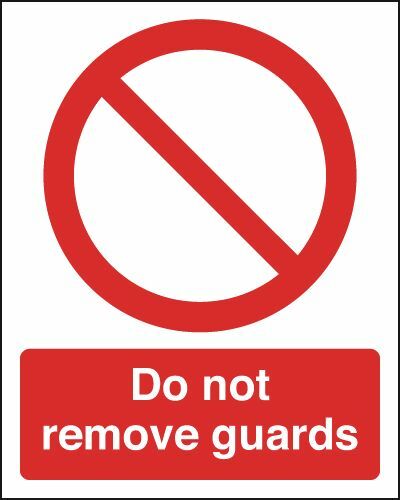 150 x 125 mm clean it up maximum penalty �100 1.2 mm rigid plastic signs with s/a backing. 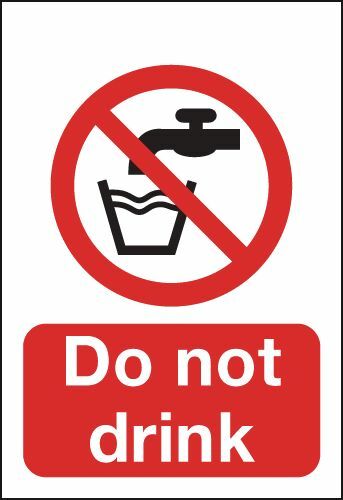 Prohibition signs - 150 x 125 mm clean it up maximum penalty �100 1.2 mm rigid plastic signs with self adhesive backing. 400 x 300 mm no fouling label. A4 No fouling maximum penalty �1000 label. A4 No fouling maximum penalty (pound symbol) 500 label. A4 no fouling maximum penalty �500 label. A4 clean it up maximum penalty �1000 1.2 mm rigid plastic signs. Prohibition signs - A4 clean it up maximum penalty �1000 1.2 mm rigid plastic signs. A4 clean it up maximum penalty �500 1.2 mm rigid plastic signs. Prohibition signs - A4 clean it up maximum penalty �500 1.2 mm rigid plastic signs. A5 no fouling maximum penalty �500 sign sign. A5 clean it up maximum penalty �500 1.2 mm rigid plastic signs with s/a backing. Prohibition signs - A5 clean it up maximum penalty �500 1.2 mm rigid plastic signs with self adhesive backing. A5 clean it up maximum penalty �1000 1.2 mm rigid plastic signs with s/a backing. Prohibition signs - A5 clean it up maximum penalty �1000 1.2 mm rigid plastic signs with self adhesive backing. A4 no fouling maximum penalty �1000 sign. A4 no fouling maximum penalty �500 sign sign. 400 x 300 mm no fouling sign. A4 clean it up maximum penalty (pound symbol) 500 1.2 mm rigid plastic signs with s/a backing. Prohibition signs - A4 clean it up maximum penalty �500 1.2 mm rigid plastic signs with self adhesive backing. A4 no fouling maximum penalty �1000 sign sign. A4 clean it up maximum penalty �1000 1.2 mm rigid plastic signs with s/a backing. Prohibition signs - A4 clean it up maximum penalty �1000 1.2 mm rigid plastic signs with self adhesive backing. 100 x 100 mm no dogs label. 150 x 150 mm no dogs label. 100 x 100 mm no dogs sign. 150 x 125 mm no dogs label. 150 x 125 mm no dogs except assistance dogs label. 150 x 125 mm no dogs except guide dogs label. A5 No dogs except guide dogs label. A5 No dogs in the playground area label. A5 No dogs except assistance dogs label. 100 x 250 mm no dogs except assistance dogs label. 100 x 250 mm no dogs label. 100 x 250 mm no dogs except guide dogs label. 150 x 125 mm no dogs except guide dogs sign. 150 x 125 mm no dogs sign. 150 x 125 mm no dogs except assistance dogs sign. 150 x 125 mm dogs allowed sign. 150 x 150 mm no dogs sign. A5 keep dogs on leads self adhesive vinyl labels. Prohibition signs - A5 keep dogs on leads self adhesive vinyl labels. 150 x 125 mm keep dogs on leads 1.2 mm rigid plastic signs. 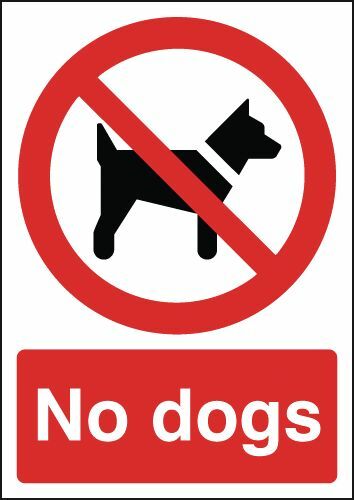 Prohibition signs - 150 x 125 mm keep dogs on leads 1.2 mm rigid plastic signs. A5 no dogs except assistance dogs sign. A5 no dogs except guide dogs sign. A5 no dogs in the playground area sign. A5 keep dogs on leads 1.2 mm rigid plastic signs. 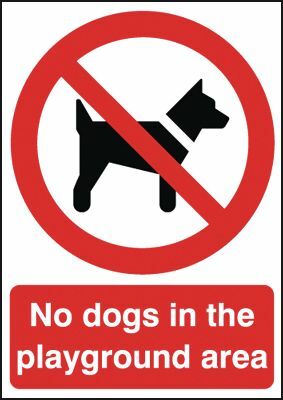 Prohibition signs - A5 keep dogs on leads 1.2 mm rigid plastic signs. 100 x 250 mm no dogs except assistance dogs sign. 100 x 250 mm dogs allowed sign. 100 x 250 mm no dogs except guide dogs sign. A4 keep dogs on leads self adhesive vinyl labels. Prohibition signs - A4 keep dogs on leads self adhesive vinyl labels. 150 x 125 mm keep dogs on leads 1.2 mm rigid plastic signs with s/a backing. 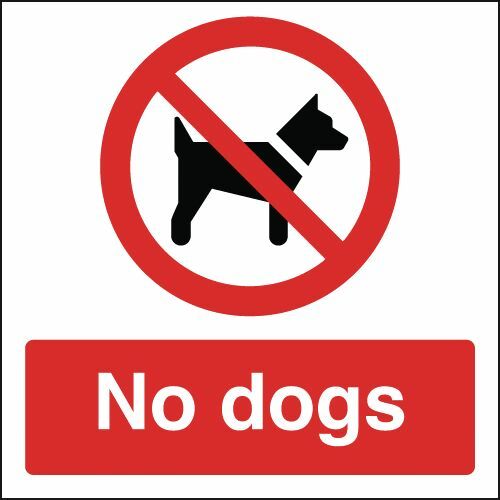 Prohibition signs - 150 x 125 mm keep dogs on leads 1.2 mm rigid plastic signs with self adhesive backing. 400 x 300 mm no dogs label. 400 x 300 mm no dogs in the playground area label. A4 No dogs in the playground area label. A4 No dogs except guide dogs label. A4 No dogs except assistance dogs label. A3 No dogs except assistance dogs label. A3 No dogs except guide dogs label. A4 keep dogs on leads 1.2 mm rigid plastic signs. 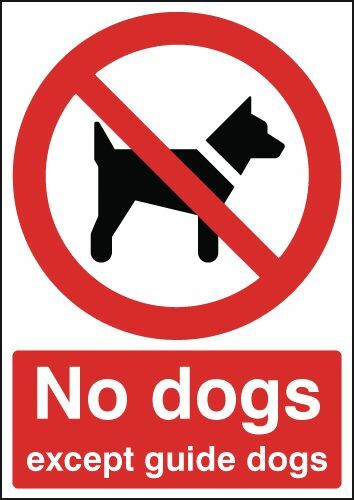 Prohibition signs - A4 keep dogs on leads 1.2 mm rigid plastic signs. A4 no dogs except assistance dogs sign. A4 no dogs in the playground area sign. A4 no dogs except guide dogs sign. 400 x 300 mm no dogs in the playground area sign. 400 x 300 mm no dogs sign. A5 keep dogs on leads 1.2 mm rigid plastic signs with s/a backing. 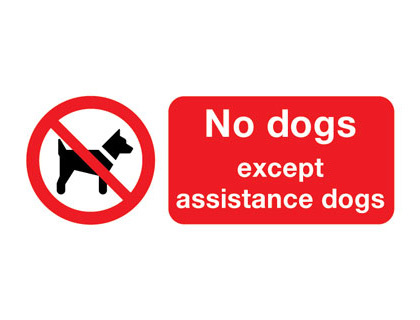 Prohibition signs - A5 keep dogs on leads 1.2 mm rigid plastic signs with self adhesive backing. A3 no dogs except assistance dogs sign. A3 no dogs except guide dogs sign. A2 No dogs except guide dogs label. A2 no dogs except guide dogs sign. A1 No dogs except guide dogs label. A1 no dogs except guide dogs sign. A4 keep dogs on leads 1.2 mm rigid plastic signs with s/a backing. Prohibition signs - A4 keep dogs on leads 1.2 mm rigid plastic signs with self adhesive backing. 150 x 125 mm this bin is for dog waste only self adhesive vinyl labels. 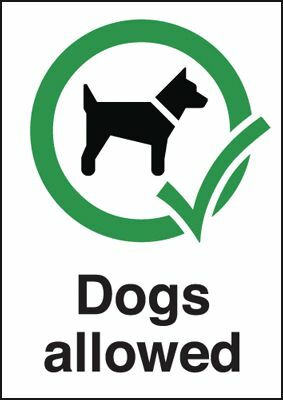 Prohibition signs - 150 x 125 mm this bin is for dog waste only self adhesive vinyl labels. A5 this bin is for dog waste only clean self adhesive vinyl labels. Prohibition signs - A5 this bin is for dog waste only clean self adhesive vinyl labels. 150 x 125 mm this bin is for dog waste only 1.2 mm rigid plastic signs. 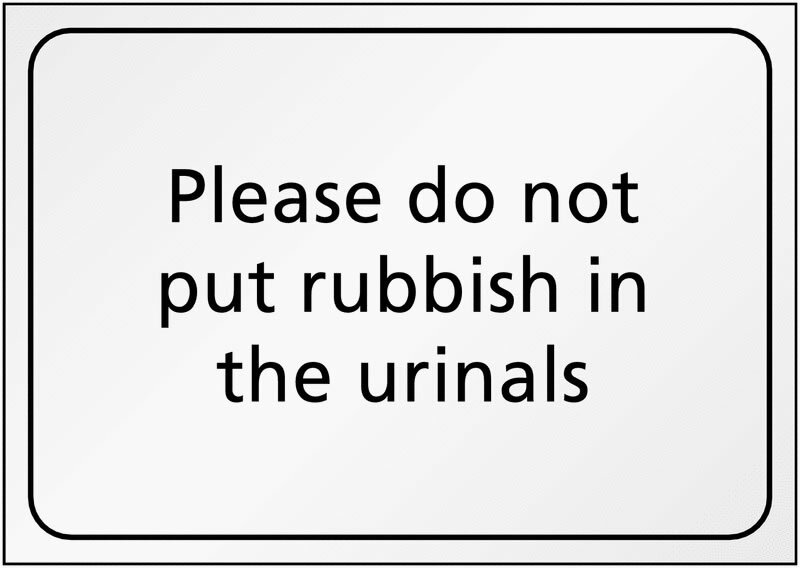 Prohibition signs - 150 x 125 mm this bin is for dog waste only 1.2 mm rigid plastic signs. A5 this bin is for dog waste only clean 1.2 mm rigid plastic signs. Prohibition signs - A5 this bin is for dog waste only clean 1.2 mm rigid plastic signs. 100 x 250 mm this bin is for dog waste only 1.2 mm rigid plastic signs. 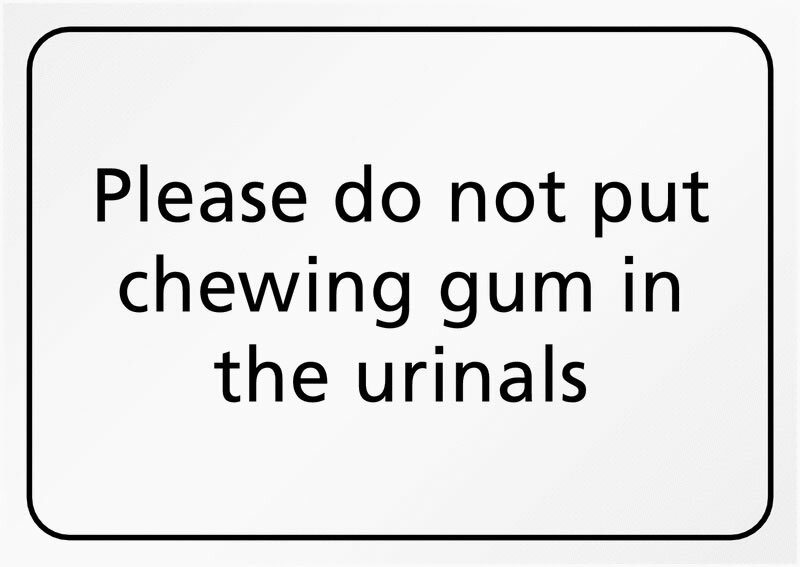 Prohibition signs - 100 x 250 mm this bin is for dog waste only 1.2 mm rigid plastic signs. A4 this bin is for dog waste only clean self adhesive vinyl labels. Prohibition signs - A4 this bin is for dog waste only clean self adhesive vinyl labels. 150 x 125 mm this bin is for dog waste only 1.2 mm rigid plastic signs with s/a backing. 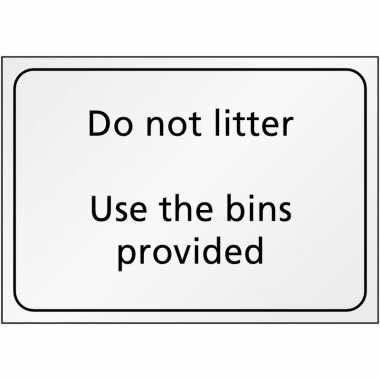 Prohibition signs - 150 x 125 mm this bin is for dog waste only 1.2 mm rigid plastic signs with self adhesive backing. A4 this bin is for dog waste only clean 1.2 mm rigid plastic signs. Prohibition signs - A4 this bin is for dog waste only clean 1.2 mm rigid plastic signs. A5 this bin is for dog waste only clean 1.2 mm rigid plastic signs with s/a backing. Prohibition signs - A5 this bin is for dog waste only clean 1.2 mm rigid plastic signs with self adhesive backing. A4 this bin is for dog waste only clean 1.2 mm rigid plastic signs with s/a backing. 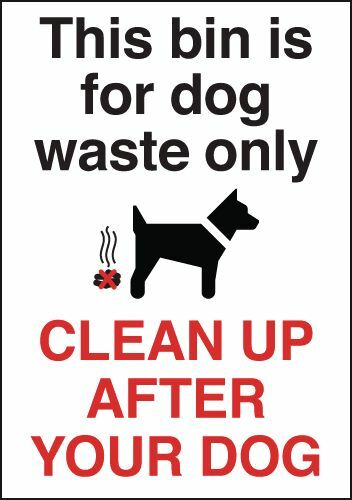 Prohibition signs - A4 this bin is for dog waste only clean 1.2 mm rigid plastic signs with self adhesive backing. 150 x 125 mm dogs allowed label. 100 x 250 mm dogs allowed label. 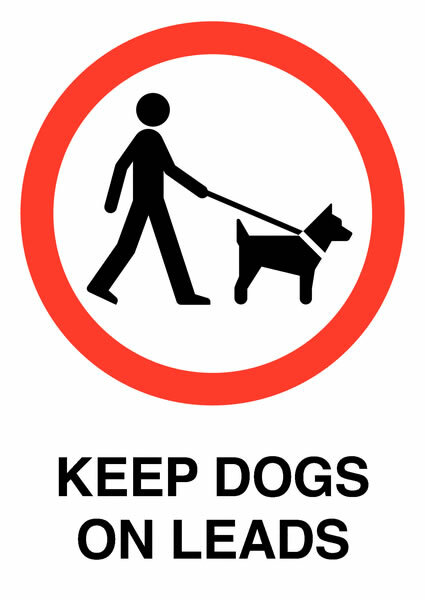 150 x 125 mm keep dogs on leads 1.2 mm rigid plastic signs with self adhesive backing. A5 keep dogs on leads 1.2 mm rigid plastic signs with self adhesive backing. A4 keep dogs on leads 1.2 mm rigid plastic signs with self adhesive backing. 400 x 300 mm no dumping or tipping sign. 50 x 100 mm do not switch on label. 100 x 200 mm do not switch on label. 50 x 100 mm do not switch on sign. 100 x 200 mm do not switch on sign. 250 x 200 mm do not switch on label. 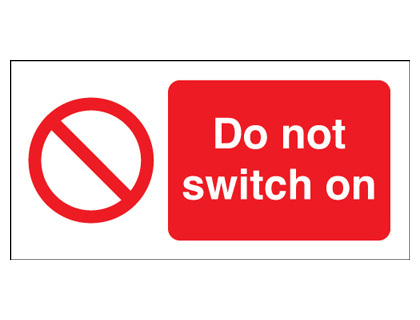 150 x 300 mm do not switch on label. 150 x 300 mm do not switch on sign. 400 x 300 mm do not switch on label. 250 x 200 mm do not switch on sign. A4 do not switch on label. A3 do not switch on label. A4 do not switch on sign. 400 x 300 mm do not switch on sign. A3 do not switch on sign. 100 x 75 mm emergency stop self adhesive vinyl labels. Prohibition signs - 100 x 75 mm emergency stop self adhesive vinyl labels. 100 x 75 mm emergency stop 1.2 mm rigid plastic signs. Prohibition signs - 100 x 75 mm emergency stop 1.2 mm rigid plastic signs. 100 x 75 mm emergency stop 1.2 mm rigid plastic signs with s/a backing. Prohibition signs - 100 x 75 mm emergency stop 1.2 mm rigid plastic signs with self adhesive backing. 100 x 250 mm emergency stop self adhesive vinyl labels. 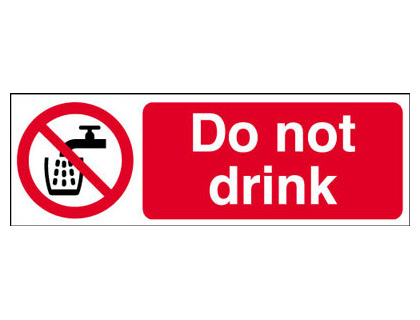 Prohibition signs - 100 x 250 mm emergency stop self adhesive vinyl labels. 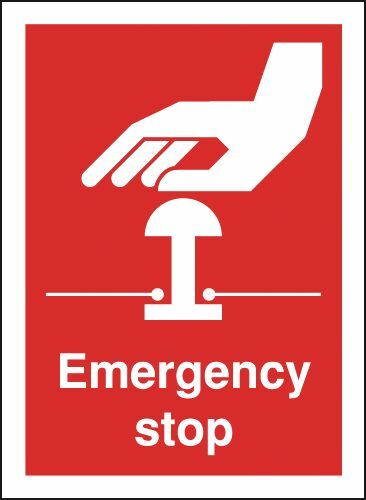 100 x 250 mm emergency stop 1.2 mm rigid plastic signs. Prohibition signs - 100 x 250 mm emergency stop 1.2 mm rigid plastic signs. 100 x 75 mm do not drink label. 100 x 75 mm do not drink sign. 150 x 125 mm do not drink label. 100 x 200 mm no food or drink label. A5 No food or drink label. A5 do not drink label. 100 x 250 mm do not drink label. 100 x 250 mm no food or drink label. 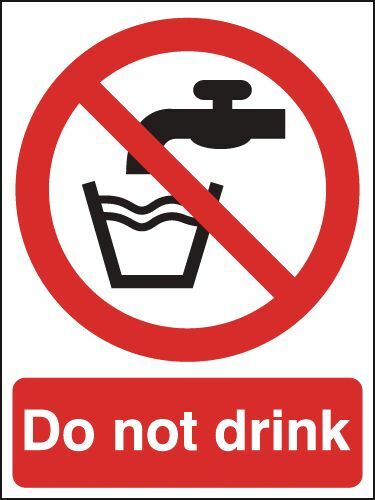 150 x 125 mm do not drink sign. 100 x 200 mm no food or drink sign. A5 no food or drink sign. A5 do not drink sign. 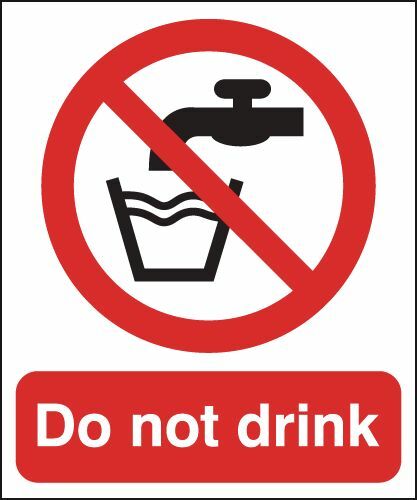 100 x 250 mm do not drink sign. 200 x 150 mm food or drinks are not permitted sign. 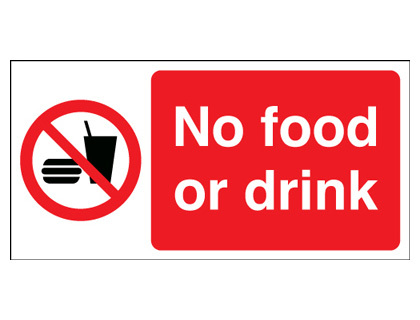 100 x 250 mm no food or drink sign. 300 x 250 mm do not drink label. 400 x 300 mm do not drink label. 400 x 300 mm no food or drink label. A4 No food or drink label. A4 do not drink label. A3 No food or drink label. A3 do not drink label. 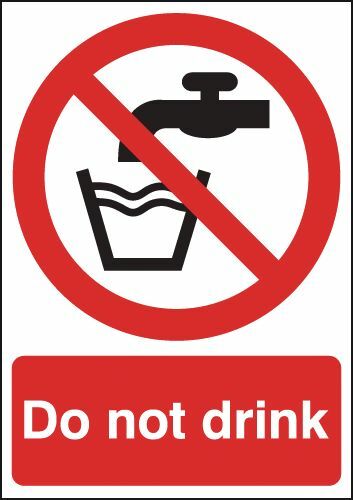 300 x 250 mm do not drink sign. A4 no food or drink sign. A4 do not drink sign. 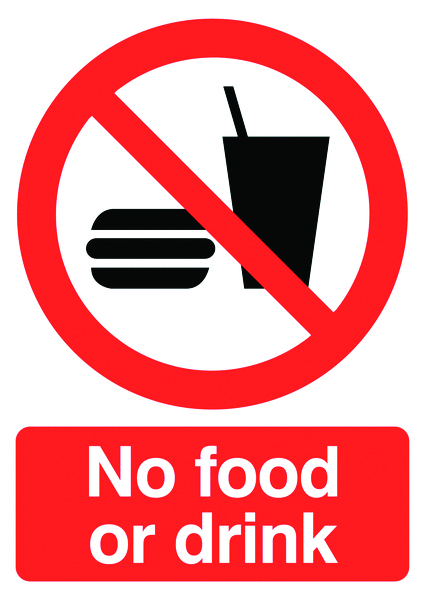 400 x 300 mm no food or drink sign. 400 x 300 mm do not drink sign. A3 do not drink sign. A3 no food or drink sign. A2 do not drink label. A2 do not drink sign. A1 do not drink label. A1 do not drink sign. A5 No fork lift trucks label. 175 x 125 mm operating this fork lift without label. 100 x 250 mm operating this fork lift without sign. 175 x 125 mm operating this fork lift without sign. A5 no fork lift trucks sign. 400 x 300 mm operating this fork lift without label. 400 x 300 mm no fork lift trucks label. 400 x 300 mm fork lift trucks prohibited label. A4 No fork lift trucks label. 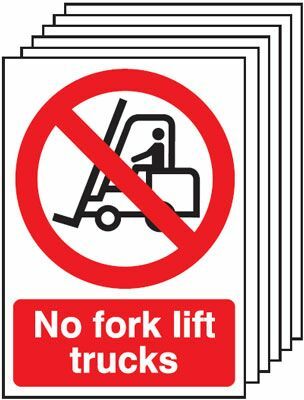 A3 No fork lift trucks label. A4 no fork lift trucks sign. 400 x 300 mm no fork lift trucks sign. 400 x 300 mm fork lift trucks prohibited sign. 400 x 300 mm operating this fork lift without sign. 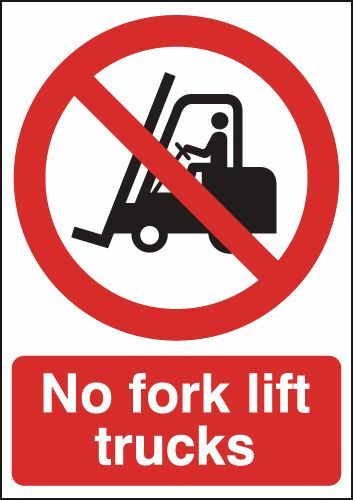 A3 no fork lift trucks sign. 600 x 450 mm no fork lift trucks label. 600 x 450 mm no fork lift trucks sign. A5 in the interest of health and hygiene label. A5 in the interest of health and hygiene sign. A4 in the interest of health and hygiene label. A4 in the interest of health and hygiene sign. 150 x 125 mm in the interest of health and label. 150 x 125 mm in the interest of health and sign. Hazard symbols rolls of 500 20 x 20 mm irritant sign. 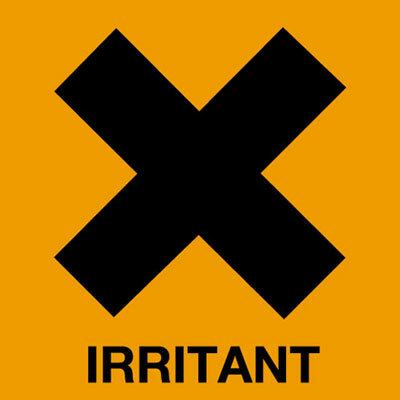 Hazard symbols rolls of 500 28 x 28 mm irritant sign. 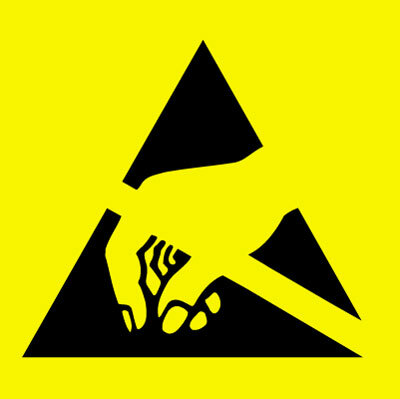 Hazard symbols rolls of 500 40 x 40 mm irritant sign. Hazard symbols rolls of 500 56 x 56 mm irritant sign. 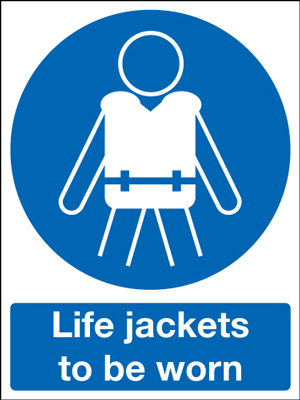 400 x 300 mm life jackets to be worn 1.2 mm rigid plastic signs. A5 do not drop litter label. A5 do not drop litter sign. 400 x 300 mm do not drop litter label. A4 do not drop litter label. A3 do not drop litter label. A4 do not drop litter sign. 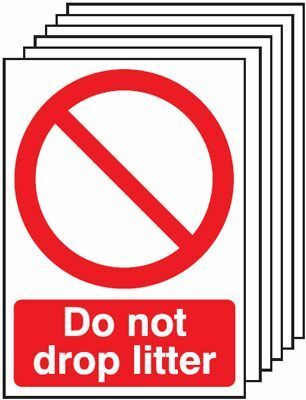 400 x 300 mm do not drop litter sign. Multi pack safety signs & labels - A5 do not drop litter self adhesive vinyl labels 6 pack. 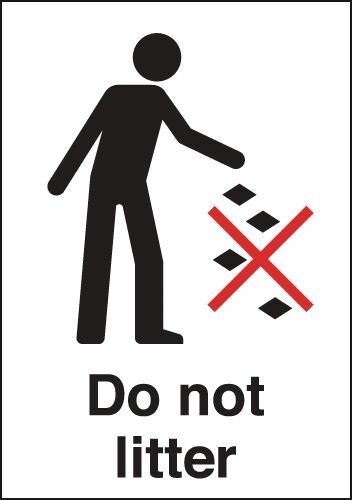 A3 do not drop litter sign. Multi pack safety signs & labels - A5 do not drop litter 1.2 mm rigid plastic signs 6 pack. Multi pack safety signs & labels - A4 do not drop litter self adhesive vinyl labels 6 pack. Multi pack safety signs & labels - A4 do not drop litter 1.2 mm rigid plastic signs 6 pack. Multi pack safety signs & labels - A4 do not drop litter 1.2 mm rigid plastic signs with self adhesive backing labels 6 pack. 150 x 200 mm do not remove guards label. 250 x 200 mm do not remove guards label. 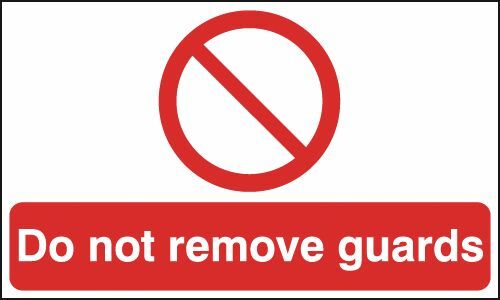 150 x 200 mm do not remove guards sign. 250 x 200 mm do not remove guards sign. 300 x 500 mm do not remove guards label. 300 x 500 mm do not remove guards sign. 50 x 50 no mobile phones (symbol no text) sign. 50 x 100 mm do not use mobile phones label. 50 x 100 mm turn off all mobile phones label. 100 x 100 mm no mobile phones symbol no text label. 100 diameter do not use mobile phones label. 100 dia do not use mobile phones label. 150 x 150 mm no mobile phones symbol no text label. 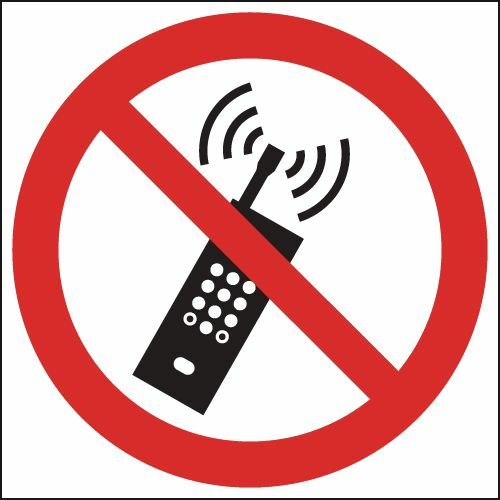 100 x 100 mm no mobile phones symbol no text sign. 100 dia do not use mobile phones sign. 150 x 200 mm turn off all mobile phones label. 100 x 200 mm turn off all mobile phones label. 100 x 200 mm no mobile phones symbol no text label. 100 x 200 mm do not use mobile phones label. 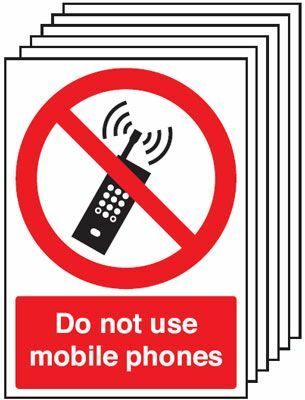 50 x 100 mm do not use mobile phones sign. 50 x 100 mm turn off all mobile phones sign. A5 do not use mobile phones label. 100 x 250 mm do not use mobile phones label. 100 x 250 mm turn off all mobile phones label. 100 x 200 mm turn off all mobile phones sign. 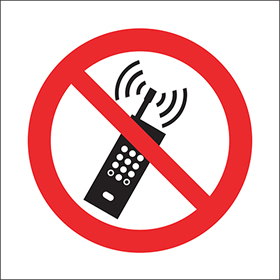 100 x 200 mm no mobile phones symbol no text sign. 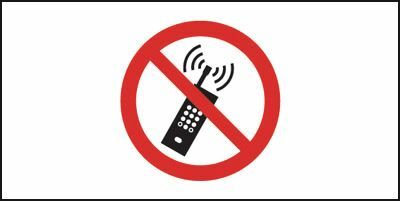 150 x 150 mm no mobile phones symbol no text sign. 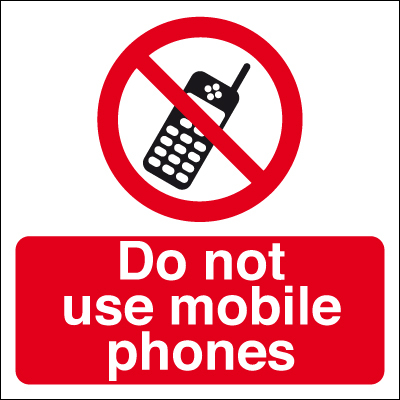 100 x 200 mm do not use mobile phones sign. 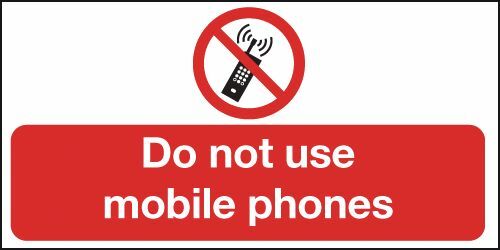 A5 do not use mobile phones sign. 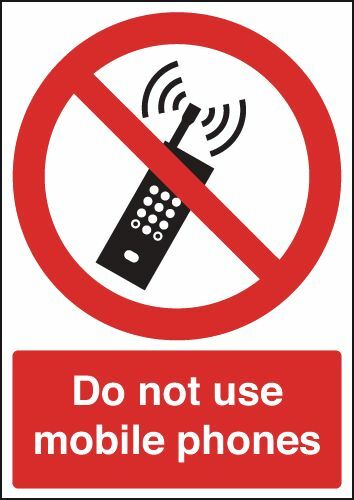 150 x 200 mm turn off all mobile phones sign. 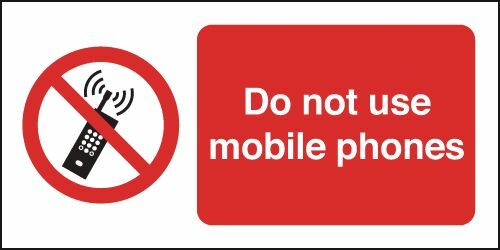 100 x 250 mm do not use mobile phones sign. 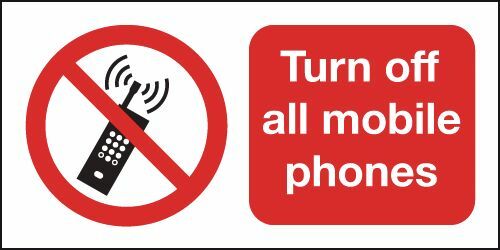 100 x 250 mm turn off all mobile phones sign. 200 x 400 mm do not use mobile phones label. 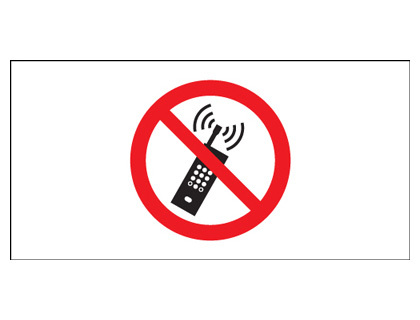 200 x 400 mm do not use mobile phones sign. A4 do not use mobile phones label. A3 do not use mobile phones label. A4 do not use mobile phones sign. Multi pack safety signs & labels - A5 do not use mobile phones self adhesive vinyl labels 6 pack. 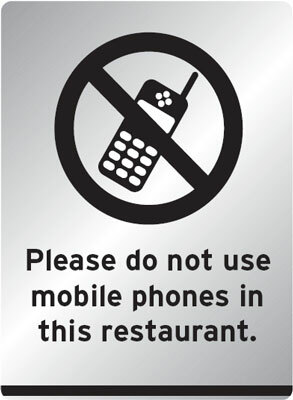 A3 do not use mobile phones sign. A2 do not use mobile phones label. 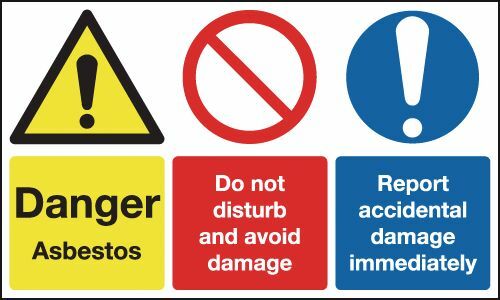 Multi pack safety signs & labels - A5 do not use mobile phones 1.2 mm rigid plastic signs 6 pack. A2 do not use mobile phones sign. A1 do not use mobile phones label. Multi pack safety signs & labels - A4 do not use mobile phones self adhesive vinyl labels 6 pack. Multi pack safety signs & labels - A3 do not use mobile phones self adhesive vinyl labels 6 pack. A1 do not use mobile phones sign. Multi pack safety signs & labels - A4 do not use mobile phones 1.2 mm rigid plastic signs 6 pack. 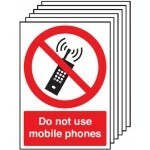 Multi pack safety signs & labels - A3 do not use mobile phones 1.2 mm rigid plastic signs 6 pack. 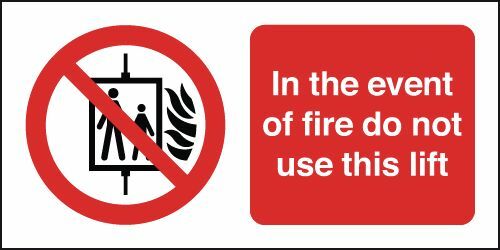 Multi pack safety signs & labels - A4 do not use mobile phones 1.2 mm rigid plastic signs with self adhesive backing labels 6 pack. A5 No naked lights label. 250 x 200 mm no naked lights label. A5 no naked lights sign. 400 x 300 mm no naked lights label. 250 x 200 mm no naked lights sign. A4 No naked lights label. A3 No naked lights label. A4 no naked lights sign. 400 x 300 mm no naked lights sign. A3 no naked lights sign. A5 No access unless trained and label. 100 x 250 mm no access unless trained and label. 250 x 200 mm no access unless trained and label. A5 no access unless trained and sign. 100 x 250 mm no access unless trained and sign. 250 x 200 mm no access unless trained and sign. A4 No access unless trained and label. A3 No access unless trained and label. A4 no access unless trained and sign. A3 no access unless trained and sign. A2 No access unless trained and label. A2 no access unless trained and sign. A1 No access unless trained and label. A1 no access unless trained and sign. 150 x 150 mm no admittance authorised self adhesive vinyl labels. Prohibition signs - 150 x 150 mm no admittance authorised self adhesive vinyl labels. 100 x 200 mm no admittance authorised self adhesive vinyl labels. Prohibition signs - 100 x 200 mm no admittance authorised self adhesive vinyl labels. Prohibition signs - A5 no admittance authorised personnel self adhesive vinyl labels. 175 x 125 mm no admittance authorised self adhesive vinyl labels. Prohibition signs - 100 x 250 mm no admittance authorised self adhesive vinyl labels. 250 x 200 mm no admittance authorised self adhesive vinyl labels. Prohibition signs - 250 x 200 mm no admittance authorised self adhesive vinyl labels. 150 x 300 mm no admittance authorised self adhesive vinyl labels. Prohibition signs - 150 x 300 mm no admittance authorised self adhesive vinyl labels. 75 x 600 mm no admittance authorised self adhesive vinyl labels. Prohibition signs - 75 x 600 mm no admittance authorised self adhesive vinyl labels. Prohibition signs - A5 no admittance authorised personnel 1.2 mm rigid plastic signs. 60 x 400 mm no admittance authorised self adhesive vinyl labels. Prohibition signs - 60 x 400 mm no admittance authorised self adhesive vinyl labels. Prohibition signs - 175 x 125 mm no admittance authorised self adhesive vinyl labels. 175 x 125 mm no admittance authorised 1.2 mm rigid plastic signs. Prohibition signs - 100 x 250 mm no admittance authorised 1.2 mm rigid plastic signs. 150 x 300 mm no admittance authorised 1.2 mm rigid plastic signs. Prohibition signs - 150 x 300 mm no admittance authorised 1.2 mm rigid plastic signs. Prohibition signs - 175 x 125 mm no admittance authorised 1.2 mm rigid plastic signs. Prohibition signs - 400 x 300 mm no admittance authorised self adhesive vinyl labels. 250 x 200 mm no admittance authorised 1.2 mm rigid plastic signs. Prohibition signs - 250 x 200 mm no admittance authorised 1.2 mm rigid plastic signs. Prohibition signs - A4 no admittance authorised personnel self adhesive vinyl labels. 300 x 250 mm no admittance authorised self adhesive vinyl labels. Prohibition signs - 300 x 250 mm no admittance authorised self adhesive vinyl labels. Prohibition signs - A3 no admittance authorised personnel self adhesive vinyl labels. 175 x 125 mm no admittance authorised 1.2 mm rigid plastic signs with s/a backing. 175 x 125 mm no admittance authorised 1.2 mm rigid plastic signs with self adhesive backing. Prohibition signs - 175 x 125 mm no admittance authorised 1.2 mm rigid plastic signs with self adhesive backing. 300 x 500 mm no admittance authorised self adhesive vinyl labels. Prohibition signs - 300 x 500 mm no admittance authorised self adhesive vinyl labels. 300 x 300 mm no admittance authorised 1.2 mm rigid plastic signs. Prohibition signs - 300 x 300 mm no admittance authorised 1.2 mm rigid plastic signs. 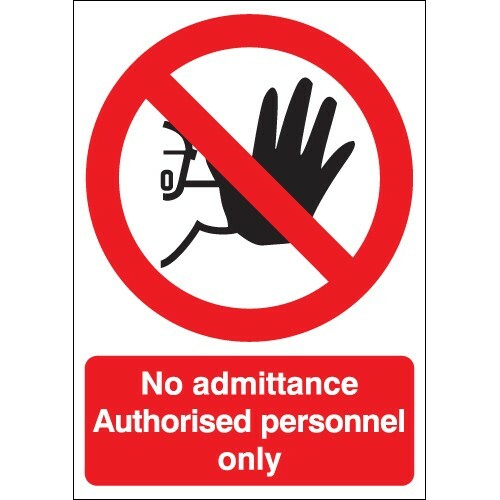 Prohibition signs - A4 no admittance authorised personnel 1.2 mm rigid plastic signs. Prohibition signs - 400 x 300 mm no admittance authorised 1.2 mm rigid plastic signs. 300 x 250 mm no admittance authorised 1.2 mm rigid plastic signs. Prohibition signs - 300 x 250 mm no admittance authorised 1.2 mm rigid plastic signs. 300 x 500 mm no admittance authorised 1.2 mm rigid plastic signs. Prohibition signs - 300 x 500 mm no admittance authorised 1.2 mm rigid plastic signs. Prohibition signs - A3 no admittance authorised personnel 1.2 mm rigid plastic signs. 150 x 300 mm no admittance authorised 1.2 mm rigid plastic signs with s/a backing. 150 x 300 mm no admittance authorised 1.2 mm rigid plastic signs with self adhesive backing. 250 x 200 mm no admittance authorised 1.2 mm rigid plastic signs with s/a backing. 250 x 200 mm no admittance authorised 1.2 mm rigid plastic signs with self adhesive backing. Prohibition signs - A5 no admittance authorised personnel 1.2 mm rigid plastic signs with self adhesive backing. Prohibition signs - 150 x 300 mm no admittance authorised 1.2 mm rigid plastic signs with self adhesive backing. Prohibition signs - 250 x 200 mm no admittance authorised 1.2 mm rigid plastic signs with self adhesive backing. A2 420 x 598 mm No admittance authorised personnel on self adhesive vinyl labels. Prohibition signs - A2 no admittance authorised personnel on self adhesive vinyl labels. 300 x 250 mm no admittance authorised 1.2 mm rigid plastic signs with s/a backing. 300 x 250 mm no admittance authorised 1.2 mm rigid plastic signs with self adhesive backing. A2 420 x 598 mm No admittance authorised personnel on 1.2 mm rigid plastic signs. Prohibition signs - A2 no admittance authorised personnel on 1.2 mm rigid plastic signs. Prohibition signs - 300 x 250 mm no admittance authorised 1.2 mm rigid plastic signs with self adhesive backing. 400 x 600 mm no admittance authorised 1.2 mm rigid plastic signs. Prohibition signs - 400 x 600 mm no admittance authorised 1.2 mm rigid plastic signs. 450 x 600 mm no admittance authorised 1.2 mm rigid plastic signs. Prohibition signs - 450 x 600 mm no admittance authorised 1.2 mm rigid plastic signs. 600 x 450 mm no admittance authorised 1.2 mm rigid plastic signs. Prohibition signs - 600 x 450 mm no admittance authorised 1.2 mm rigid plastic signs. A2 No admittance authorised personnel on self adhesive vinyl labels. A1 No admittance authorised personnel self adhesive vinyl labels. Prohibition signs - A1 no admittance authorised personnel self adhesive vinyl labels. 800 x 600 mm no admittance authorised 1.2 mm rigid plastic signs. Prohibition signs - 800 x 600 mm no admittance authorised 1.2 mm rigid plastic signs. 300 x 500 mm no admittance authorised 1.2 mm rigid plastic signs with s/a backing. 300 x 500 mm no admittance authorised 1.2 mm rigid plastic signs with self adhesive backing. A2 No admittance authorised personnel on 1.2 mm rigid plastic signs. Prohibition signs - 300 x 500 mm no admittance authorised 1.2 mm rigid plastic signs with self adhesive backing. Prohibition signs - A3 no admittance authorised personnel 1.2 mm rigid plastic signs with self adhesive backing. A2 No admittance authorised personnel on 1.2 mm rigid plastic signs with s/a backing. A2 no admittance authorised personnel on 1.2 mm rigid plastic signs with self adhesive backing. A2 420 x 598 mm No admittance authorised personnel on 1.2 mm rigid plastic signs with s/a backing. Prohibition signs - A2 no admittance authorised personnel on 1.2 mm rigid plastic signs with self adhesive backing. A1 No admittance authorised personnel 1.2 mm rigid plastic signs. Prohibition signs - A1 no admittance authorised personnel 1.2 mm rigid plastic signs. A1 No admittance authorised personnel 1.2 mm rigid plastic signs with s/a backing. Prohibition signs - A1 no admittance authorised personnel 1.2 mm rigid plastic signs with self adhesive backing. 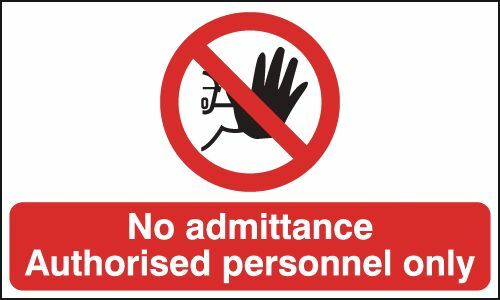 A1 no admittance authorised personnel 1.2 mm rigid plastic signs with self adhesive backing. Prohibition signs - A4 no admittance authorised personnel 1.2 mm rigid plastic signs with self adhesive backing. A5 No cycling rollerblading self adhesive vinyl labels. 250 x 200 mm no cycling rollerblading self adhesive vinyl labels. A5 No cycling rollerblading 1.2 mm rigid plastic signs. Prohibition signs - 250 x 200 mm no cycling rollerblading self adhesive vinyl labels. Prohibition signs - A5 no cycling rollerblading 1.2 mm rigid plastic signs. 250 x 350 mm no cycling rollerblading self adhesive vinyl labels. Prohibition signs - 250 x 350 mm no cycling rollerblading self adhesive vinyl labels. 400 x 300 mm no cycling rollerblading self adhesive vinyl labels. 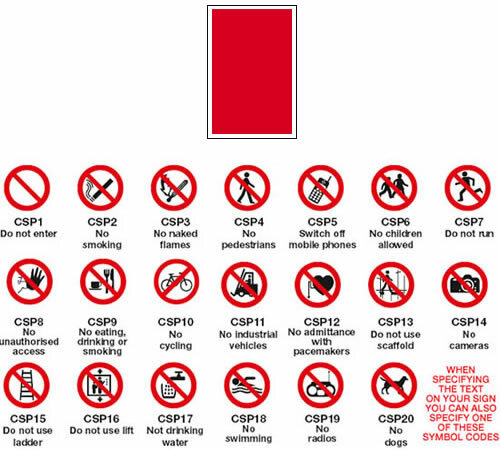 Prohibition signs - 400 x 300 mm no cycling rollerblading self adhesive vinyl labels. 250 x 200 mm no cycling rollerblading 1.2 mm rigid plastic signs. Prohibition signs - 250 x 200 mm no cycling rollerblading 1.2 mm rigid plastic signs. A4 No cycling rollerblading self adhesive vinyl labels. 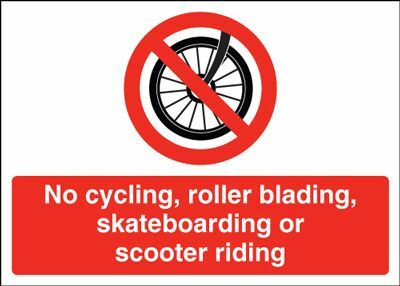 Prohibition signs - A4 no cycling rollerblading self adhesive vinyl labels. A3 No cycling rollerblading self adhesive vinyl labels. Prohibition signs - A3 no cycling rollerblading self adhesive vinyl labels. 250 x 350 mm no cycling rollerblading 1.2 mm rigid plastic signs. 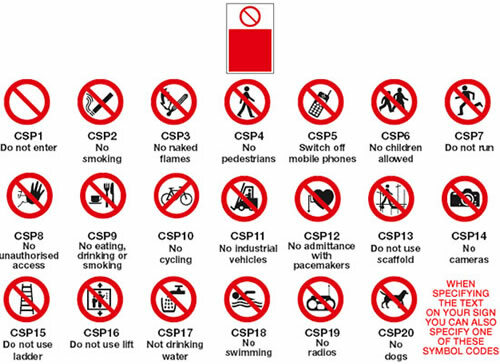 Prohibition signs - 250 x 350 mm no cycling rollerblading 1.2 mm rigid plastic signs. A4 No cycling rollerblading 1.2 mm rigid plastic signs. Prohibition signs - A4 no cycling rollerblading 1.2 mm rigid plastic signs. 600 x 450 mm no cycling rollerblading self adhesive vinyl labels. 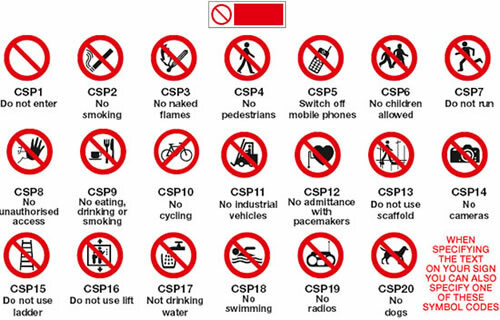 Prohibition signs - 600 x 450 mm no cycling rollerblading self adhesive vinyl labels. A5 No cycling rollerblading 1.2 mm rigid plastic signs with s/a backing. A5 no cycling rollerblading 1.2 mm rigid plastic signs with self adhesive backing. A2 420 x 598 mm No cycling rollerblading self adhesive vinyl labels. Prohibition signs - A2 no cycling rollerblading self adhesive vinyl labels. A3 No cycling rollerblading 1.2 mm rigid plastic signs. Prohibition signs - A3 no cycling rollerblading 1.2 mm rigid plastic signs. Prohibition signs - A5 no cycling rollerblading 1.2 mm rigid plastic signs with self adhesive backing. 250 x 350 mm no cycling rollerblading 1.2 mm rigid plastic signs with s/a backing. Prohibition signs - 250 x 350 mm no cycling rollerblading 1.2 mm rigid plastic signs with self adhesive backing. A2 No cycling rollerblading self adhesive vinyl labels. 250 x 350 mm no cycling rollerblading 1.2 mm rigid plastic signs with self adhesive backing. 400 x 300 mm no cycling rollerblading 1.2 mm rigid plastic signs with s/a backing. 400 x 300 mm no cycling rollerblading 1.2 mm rigid plastic signs with self adhesive backing. Prohibition signs - 400 x 300 mm no cycling rollerblading 1.2 mm rigid plastic signs with self adhesive backing. A2 No cycling rollerblading 1.2 mm rigid plastic signs. A2 420 x 598 mm No cycling rollerblading 1.2 mm rigid plastic signs. Prohibition signs - A2 no cycling rollerblading 1.2 mm rigid plastic signs. A3 No cycling rollerblading 1.2 mm rigid plastic signs with s/a backing. A3 no cycling rollerblading 1.2 mm rigid plastic signs with self adhesive backing. A2 No cycling rollerblading 1.2 mm rigid plastic signs with s/a backing. A2 no cycling rollerblading 1.2 mm rigid plastic signs with self adhesive backing. A2 420 x 598 mm No cycling rollerblading 1.2 mm rigid plastic signs with s/a backing. Prohibition signs - A2 no cycling rollerblading 1.2 mm rigid plastic signs with self adhesive backing. Prohibition signs - A3 no cycling rollerblading 1.2 mm rigid plastic signs with self adhesive backing. A4 No cycling rollerblading 1.2 mm rigid plastic signs with s/a backing. 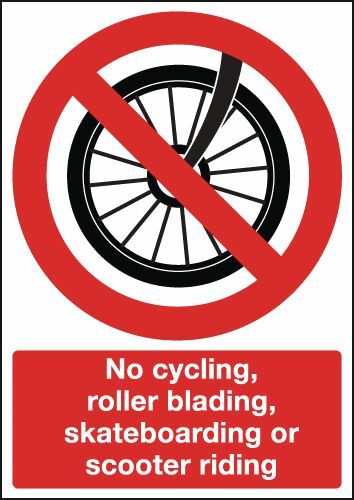 A4 no cycling rollerblading 1.2 mm rigid plastic signs with self adhesive backing. Prohibition signs - A4 no cycling rollerblading 1.2 mm rigid plastic signs with self adhesive backing. A3 No exit self adhesive vinyl labels. A3 No exit 1.2 mm rigid plastic signs. A5 no exit self adhesive vinyl labels in a 6 pack. A2 No exit self adhesive vinyl labels. A2 No exit 1.2 mm rigid plastic signs. A1 No exit self adhesive vinyl labels. A3 No exit 1.2 mm rigid plastic signs with s/a backing. A3 no exit 1.2 mm rigid plastic signs with self adhesive backing. A2 No exit 1.2 mm rigid plastic signs with s/a backing. 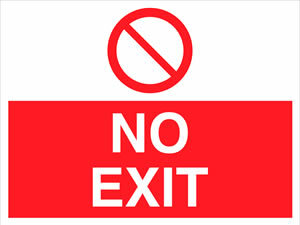 A2 no exit 1.2 mm rigid plastic signs with self adhesive backing. A1 No exit 1.2 mm rigid plastic signs. A4 no exit self adhesive vinyl labels in a 6 pack. A1 No exit 1.2 mm rigid plastic signs with s/a backing. 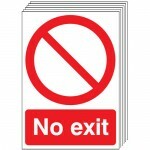 A1 no exit 1.2 mm rigid plastic signs with self adhesive backing. A3 no exit self adhesive vinyl labels in a 6 pack. 100 x 200 mm no parking self adhesive vinyl labels. A5 No parking self adhesive vinyl labels. Prohibition signs - 100 x 200 mm no parking self adhesive vinyl labels. Prohibition signs - A5 no parking self adhesive vinyl labels. 100 x 250 mm no parking self adhesive vinyl labels. Prohibition signs - 100 x 250 mm no parking self adhesive vinyl labels. 100 x 200 mm no parking 1.2 mm rigid plastic signs. Prohibition signs - 100 x 200 mm no parking 1.2 mm rigid plastic signs. 250 x 200 mm no parking self adhesive vinyl labels. Prohibition signs - 250 x 200 mm no parking self adhesive vinyl labels. A5 No parking 1.2 mm rigid plastic signs. Prohibition signs - A5 no parking 1.2 mm rigid plastic signs. 100 x 250 mm no parking 1.2 mm rigid plastic signs. Prohibition signs - 100 x 250 mm no parking 1.2 mm rigid plastic signs. 250 x 300 mm no parking self adhesive vinyl labels. Prohibition signs - 250 x 300 mm no parking self adhesive vinyl labels. 250 x 350 mm no parking self adhesive vinyl labels. Prohibition signs - 250 x 350 mm no parking self adhesive vinyl labels. 400 x 300 mm no parking self adhesive vinyl labels. Prohibition signs - 400 x 300 mm no parking self adhesive vinyl labels. 250 x 200 mm no parking 1.2 mm rigid plastic signs. Prohibition signs - 250 x 200 mm no parking 1.2 mm rigid plastic signs. A4 No parking self adhesive vinyl labels. Prohibition signs - A4 no parking self adhesive vinyl labels. 300 x 200 mm no parking self adhesive vinyl labels. Prohibition signs - 300 x 200 mm no parking self adhesive vinyl labels. A3 No parking self adhesive vinyl labels. Prohibition signs - A3 no parking self adhesive vinyl labels. 300 x 200 mm no parking 1.2 mm rigid plastic signs. Prohibition signs - 300 x 200 mm no parking 1.2 mm rigid plastic signs. 100 x 200 mm no parking 1.2 mm rigid plastic signs with s/a backing. 100 x 200 mm no parking 1.2 mm rigid plastic signs with self adhesive backing. 250 x 300 mm no parking 1.2 mm rigid plastic signs. Prohibition signs - 250 x 300 mm no parking 1.2 mm rigid plastic signs. 300 x 500 mm no parking self adhesive vinyl labels. Prohibition signs - 300 x 500 mm no parking self adhesive vinyl labels. 250 x 350 mm no parking 1.2 mm rigid plastic signs. Prohibition signs - 250 x 350 mm no parking 1.2 mm rigid plastic signs. A4 No parking 1.2 mm rigid plastic signs. Prohibition signs - A4 no parking 1.2 mm rigid plastic signs. 400 x 300 mm no parking 1.2 mm rigid plastic signs. Prohibition signs - 400 x 300 mm no parking 1.2 mm rigid plastic signs. 300 x 500 mm no parking 1.2 mm rigid plastic signs. Prohibition signs - 300 x 500 mm no parking 1.2 mm rigid plastic signs. Prohibition signs - 100 x 200 mm no parking 1.2 mm rigid plastic signs with self adhesive backing. 450 x 600 mm no parking self adhesive vinyl labels. Prohibition signs - 450 x 600 mm no parking self adhesive vinyl labels. A3 No parking 1.2 mm rigid plastic signs. Prohibition signs - A3 no parking 1.2 mm rigid plastic signs. A5 No parking 1.2 mm rigid plastic signs with s/a backing. A5 no parking 1.2 mm rigid plastic signs with self adhesive backing. 250 x 200 mm no parking 1.2 mm rigid plastic signs with s/a backing. 250 x 200 mm no parking 1.2 mm rigid plastic signs with self adhesive backing. Prohibition signs - A5 no parking 1.2 mm rigid plastic signs with self adhesive backing. Prohibition signs - 250 x 200 mm no parking 1.2 mm rigid plastic signs with self adhesive backing. A2 420 x 598 mm No parking self adhesive vinyl labels. Prohibition signs - A2 no parking self adhesive vinyl labels. 250 x 300 mm no parking 1.2 mm rigid plastic signs with s/a backing. 250 x 300 mm no parking 1.2 mm rigid plastic signs with self adhesive backing. 300 x 200 mm no parking 1.2 mm rigid plastic signs with s/a backing. 300 x 200 mm no parking 1.2 mm rigid plastic signs with self adhesive backing. Prohibition signs - 250 x 300 mm no parking 1.2 mm rigid plastic signs with self adhesive backing. Prohibition signs - 300 x 200 mm no parking 1.2 mm rigid plastic signs with self adhesive backing. 450 x 600 mm no parking 1.2 mm rigid plastic signs. Prohibition signs - 450 x 600 mm no parking 1.2 mm rigid plastic signs. A1 No parking self adhesive vinyl labels. Prohibition signs - A1 no parking self adhesive vinyl labels. A2 No parking self adhesive vinyl labels. A2 420 x 598 mm No parking 1.2 mm rigid plastic signs. Prohibition signs - A2 no parking 1.2 mm rigid plastic signs. 250 x 350 mm no parking 1.2 mm rigid plastic signs with s/a backing. 250 x 350 mm no parking 1.2 mm rigid plastic signs with self adhesive backing. 400 x 300 mm no parking 1.2 mm rigid plastic signs with s/a backing. 400 x 300 mm no parking 1.2 mm rigid plastic signs with self adhesive backing. Prohibition signs - 250 x 350 mm no parking 1.2 mm rigid plastic signs with self adhesive backing. Prohibition signs - 400 x 300 mm no parking 1.2 mm rigid plastic signs with self adhesive backing. 300 x 500 mm no parking 1.2 mm rigid plastic signs with s/a backing. 300 x 500 mm no parking 1.2 mm rigid plastic signs with self adhesive backing. A2 No parking 1.2 mm rigid plastic signs. Prohibition signs - 300 x 500 mm no parking 1.2 mm rigid plastic signs with self adhesive backing. A1 No parking 1.2 mm rigid plastic signs. Prohibition signs - A1 no parking 1.2 mm rigid plastic signs. A3 No parking 1.2 mm rigid plastic signs with s/a backing. 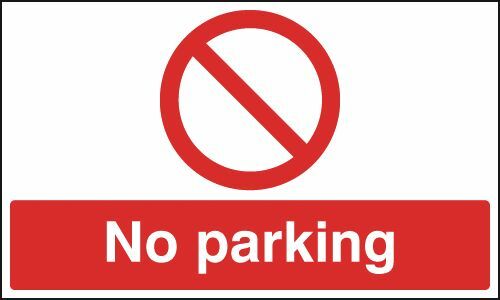 A3 no parking 1.2 mm rigid plastic signs with self adhesive backing. Prohibition signs - A3 no parking 1.2 mm rigid plastic signs with self adhesive backing. A2 No parking 1.2 mm rigid plastic signs with s/a backing. A2 no parking 1.2 mm rigid plastic signs with self adhesive backing. 450 x 600 mm no parking 1.2 mm rigid plastic signs with s/a backing. Prohibition signs - 450 x 600 mm no parking 1.2 mm rigid plastic signs with self adhesive backing. A2 420 x 598 mm No parking 1.2 mm rigid plastic signs with s/a backing. Prohibition signs - A2 no parking 1.2 mm rigid plastic signs with self adhesive backing. 450 x 600 mm no parking 1.2 mm rigid plastic signs with self adhesive backing. A1 No parking 1.2 mm rigid plastic signs with s/a backing. Prohibition signs - A1 no parking 1.2 mm rigid plastic signs with self adhesive backing.